Why does scan miss these channels? There are too many channels for me to count above channel 1000 that are simply ignored by the Tablo scan. Over the air with antenna the channels go up to 49-4 where the tablo seems to stop, and then a large gap until channel 1022 and about 40 channels between here and channel 1467. That’s a lot of missed channels and I fail to believe that all of these have a “bad PSIP” setting. Does the scan stop at a certain point and ignore anything above this limit? Doesn’t UFH only go up to like channel 83? Not sure what the 1000 you are talking about is. Perhaps the OP is referring to cable/satellite channel numbers? karlkras what are these higher number channels coming from? They’re off of my anntena channels. Those are definitely not OTA channels. What app are you using to display them? @karlkras who told you those were OTA channels!? Great misunderstand!! In general, VHF channels are numbered 2 to 13 and UHF channels 14 to 51. Snowcat and theuser86 are correct these are ott channels loaded by your smart TV. My Samsung loads them in and I then have to remove them from my channels because I have not found anything there that interest me. Look… I did a channel scan from my TV after hooking up my coax directly from my anntena, and these show up when I use the “Live TV Air” app from my Samsung TV. You can debate this all you want, but I can’t make this up. Well that’s your opinion, I actually like watching TYT Network and some of the funky local college feeds. Are they all gems? No, but it would be nice to have the option. They aren’t coming in through your antenna cable. 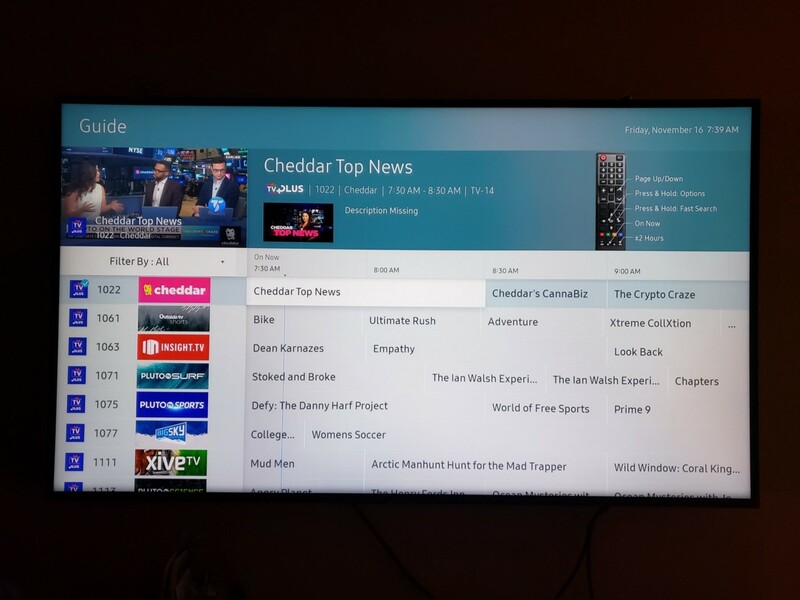 They’re just added to the guide on Samsung TVs … newer ones. Okay, finally something That makes sense. I googled the hell out of this and found nothing. Thank you! Glad you found things you like there, just not for me. I plan to disconnect all the smart TV features I can from my Samsung and take it off line. The only reason I have a smart TV is that you can not buy a decent dumb one anymore. I’m happy with my ota and selected streaming services through my Roku. As they say different strokes for different folks. I googled the hell out of this and found nothing. Thank you! ?!? I search ota channel numbers range to find that link in my above post… it’s like 3rd in the list. Maybe you need a break.